↑ 2.0 2.1 2.2 猫武士六部曲——3天空破碎 平装 – 2018年4月1日. amazon. 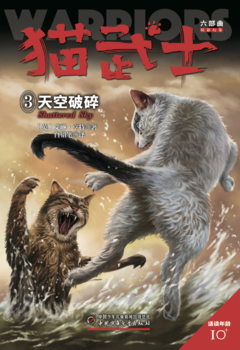 ↑ 3.0 3.1 3.2 貓戰士六部曲幽暗異象之三：破碎天空. 晨星網路書店. 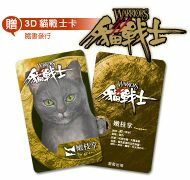 ↑ Warriors: A Vision of Shadows #3: Shattered Sky Kindle Edition. Amazon. ↑ 6.0 6.1 Shattered Sky Hardcover – April 11, 2017. Amazon. 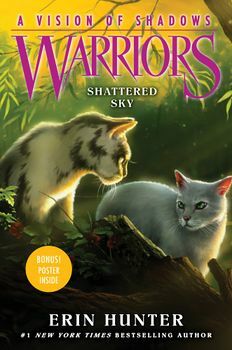 ↑ Warriors: A Vision of Shadows #3: Shattered Sky Library Binding – April 11, 2017. Amazon. 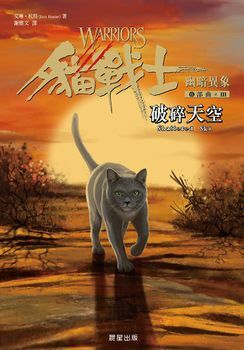 ↑ 8.0 8.1 Warrior Cats - Vision von Schatten. Zerrissene Wolken: Staffel VI, Band 3 Gebundene Ausgabe – 12. Februar 2018. Amazon. ↑ 9.0 9.1 6. Staffel - Band 3 : Zerrissene Schatten. Warriocatrs.de. ↑ 10.0 10.1 Knust himmel. norli. 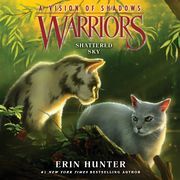 ↑ Warriors: A Vision of Shadows #3: Shattered Sky Paperback – April 10, 2018. Amazon. ↑ 13.0 13.1 Warriors: A Vision of Shadows, Book 3: Shattered Sky Audible Audiobook – Unabridged. Amazon.